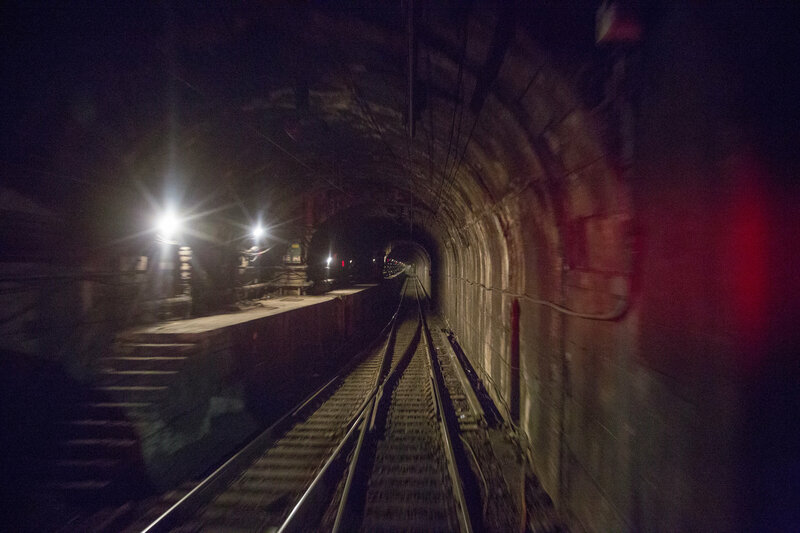 The tunnels under the Hudson River, which link New York City and New Jersey, are 105 years old and in need of an overhaul. There is consensus that the federal and state governments are going to work together to make sure we have the resources to deal with what we certainly think is an infrastructure emergency. The federal transportation secretary said on Thursday that officials were taking important initial steps to accelerate long-stalled plans to build a new rail tunnel under the Hudson River. Speaking at a business breakfast in Manhattan, the secretary, Anthony Foxx, said that New Jersey Transit had agreed to lead the project’s environmental study and that Amtrak would oversee engineering work. Mr. Foxx said federal officials would shorten the timeline for approving permits and would discuss federal grants and other financing options with the Port Authority of New York and New Jersey, the agency that could be designated to oversee the project. 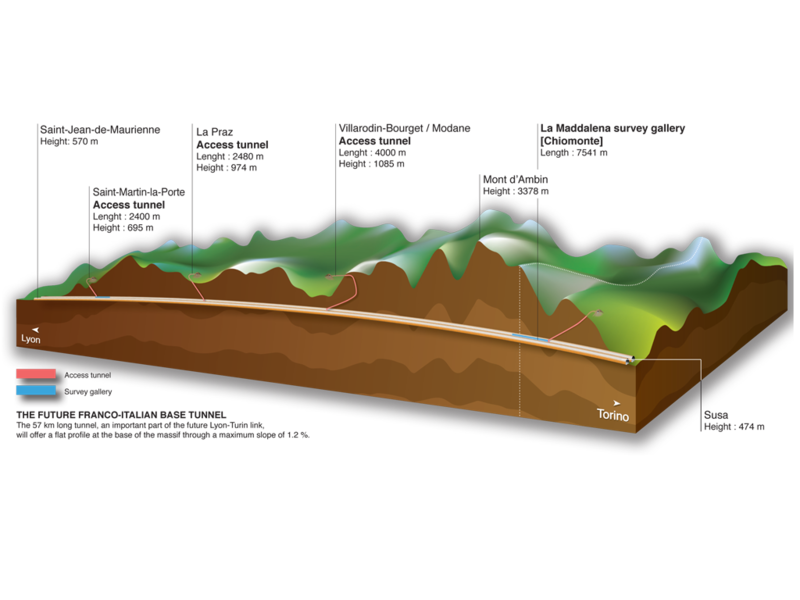 The steps, while modest, represent the most substantive movement on the project in years. They follow a political breakthrough last month when Govs. Chris Christie of New Jersey, a Republican, and Andrew M. Cuomo of New York, a Democrat, sent a letter to the White House saying their states would line up funding for half of the project’s cost, estimated to be as much as $20 billion. In an interview on Thursday morning, Mr. Foxx said that he wanted to move as quickly as possible on preliminary work because of the deteriorating condition of the current tunnel, which is a century old. “I think it unleashes the Port Authority and New Jersey Transit and other stakeholders in the region to begin work with confidence that the governors are going to support it,” Mr. Foxx said of the governors’ letter. On Thursday, New Jersey Transit confirmed that the agency was expected to lead the environmental study, but said the decision still required approval by the agency’s board of directors. Its role came as a result of a meeting between Mr. Christie and Mr. Foxx in August, said Nancy Snyder, a spokeswoman for the agency. The environmental review could take two to three years, Ms. Snyder said, and include public hearings and the study of air quality and other environmental impacts. A crush of rail delays in July brought renewed attention to an Amtrak proposal to build a new tunnel as part of what is known as the Gateway project. After Mr. Foxx urged the states to make the project a priority, the governors sent the letter to President Obama in September saying if the federal government provided grants for half the costs, the states would cover the balance. How would the states pay for their share when leaders are already struggling to fund existing infrastructure plans? Could Congress, already wracked by leadership questions, be persuaded to provide significant federal funding? And would the Port Authority, shadowed by scandal and a continuing federal investigation, be the best agency to oversee one of the biggest construction projects in the country? But transportation and business officials said the initial steps that Mr. Foxx outlined were significant. Local leaders at the speech were enthusiastic about the developments, said Kathryn S. Wylde, president of the Partnership for New York City, which hosted the breakfast where Mr. Foxx spoke. As part of the planning process, New Jersey Transit has agreed to give Amtrak its studies from the earlier tunnel proposal, known as Access to the Region’s Core. Amtrak has also been working to preserve the right of way for the future tunnel at the Hudson Yards site in Manhattan. Amtrak has asked New Jersey Transit and the Metropolitan Transportation Authority to pay about $5.5 million each toward the work there, Amtrak officials said. On Thursday, Mr. Foxx said that the environmental and engineering work were necessary preliminary steps so officials could determine the scope and cost of the project before they figure out the details over funding. He said that he would try to make the funding framework proposed by the governors work, but that it would require a strong push from the region’s congressional delegation. The Gateway proposal, which includes a new two-tube rail tunnel, an expanded Pennsylvania Station, a replacement for the Portal Bridge in New Jersey and other upgrades, could happen in phases, Mr. Foxx said, with the new tunnel being the first priority. Senator Chuck Schumer, Democrat of New York, proposed creating a nonprofit development corporation to oversee the project. But the governors suggested the Port Authority should take the lead, with a dedicated entity and staff in the agency. The authority already has a host of expensive priorities: replacing the Port Authority Bus Terminal, improving La Guardia Airport, and extending the PATH commuter train to Newark Liberty International Airport. Martin E. Robins, the founding director of the Alan M. Voorhees Transportation Center at Rutgers University and a former director of the Access to the Region’s Core project, said the authority was the best agency for the job because it had the engineering and administrative capacity. But it still must determine whether it has the power to take the lead on the project and how to form an entity within itself to manage the project. “There are a tremendous number of things that still need to be done,” Mr. Robins said.